Quirky venues and wacky pop–ups are spreading through London like wild fire, so it’s no surprise that in a city where there are restaurants dedicated entirely to cereal, or canned seafood (?! 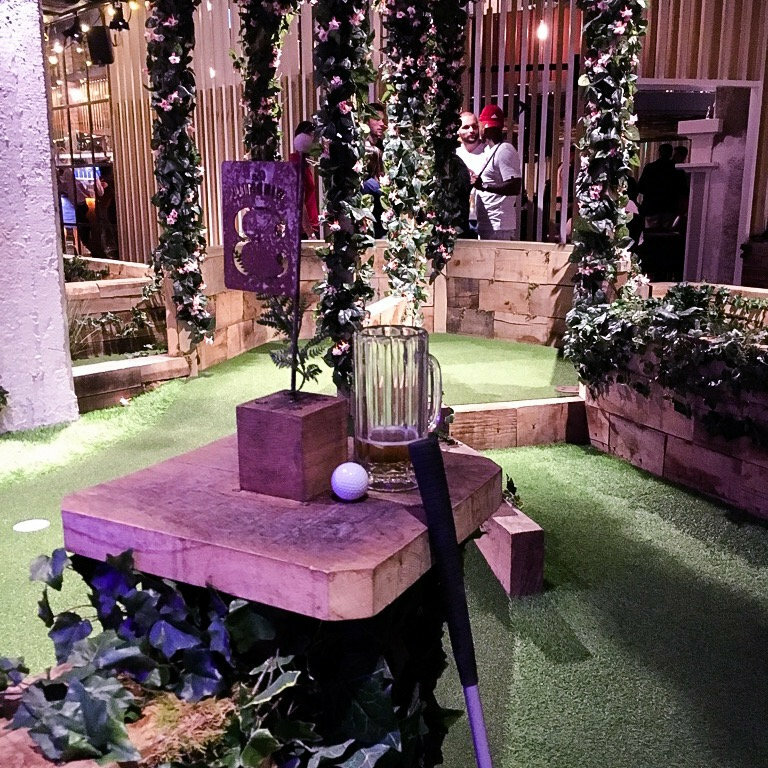 ), cinemas with secret entrances and bean–bag chairs, and flash fashion sales that have hipsters queuing throughout the night, London’s first permanent crazy–golf bar was well received. 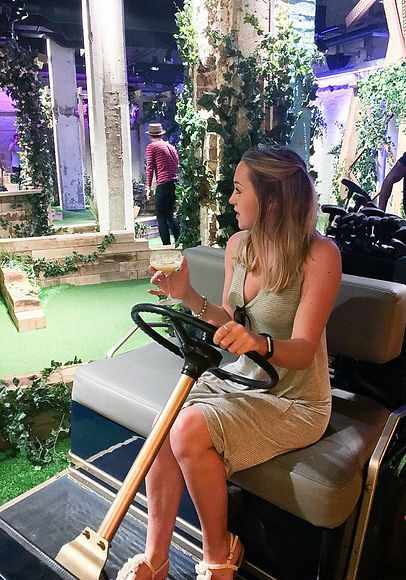 Swingers, a golf club for the millennial generation, opened in the City in May this year. The venue incorporates two nine-hole courses – The Windmill and The Lighthouse – weaving in and out of plush fake grass, fairy lights and handy places to put your drink whilst practicing for the next Ryder Cup. London’s favourite’s Pizza Pilgrims, Le Bab and Patty & Bun are on hand, but perhaps the most impressive feature is the super-slick two-storey club house complete with gin terrace! Tickets are available online or on the door (though it is worth booking if you’re after a particular slot) and range from £10–13 pp based on peak times. Cheery hosts and a convenient cloak room (you need both hands – one for your club, one for your glass!) greet you on entering, and you’re welcome to use the bar and food facilities before your round begins. Drinks prices are standard for a venue located right at the foot of the Gherkin, don’t expect change from a tenner for a cocktail. Clubs, balls, a score card and – best of all – a bar menu complete with an on-course ordering system are all provided and despite the popularity of the venue there is definitely space to take your time. The rules do stipulate a maximum number of shots per hole, mainly to keep things moving as different groups migrate around the course, however in reality both staff and putters (ha) alike encourage even the most amateur of players to take it easy and enjoy every hole. The clientele ranged from City workers winding down, to coy first dates, to groups of friends ribbing one another; the commonality between all was the fun that was taking place. And the booze. 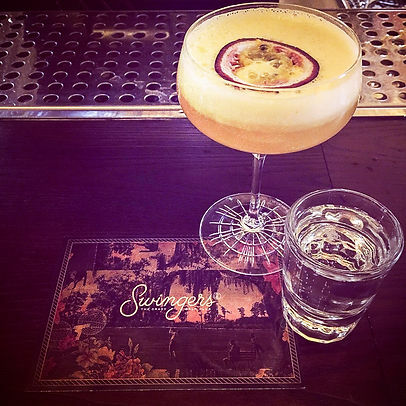 Amongst London’s weird and wonderful venues, Swingers definitely stands above par.